← Miss Teenager Pageant Guatemala City Recap! 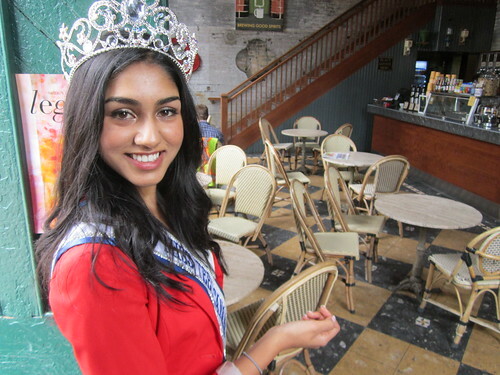 Below is Miss Teen Canada – World 2013 Megha Sandhu at Balzacs Coffee House in the Distillery District of Toronto. Every year this picture is the same, only different. The 2013 Search for Miss Teenage Canada enjoyed a thrilling scavenger hunt at the Distillery Historic District and many girls visited Balzacs and did survey the scene of the great picture pose, and some snapped themselves in this framing, which for me is a terrific honour. 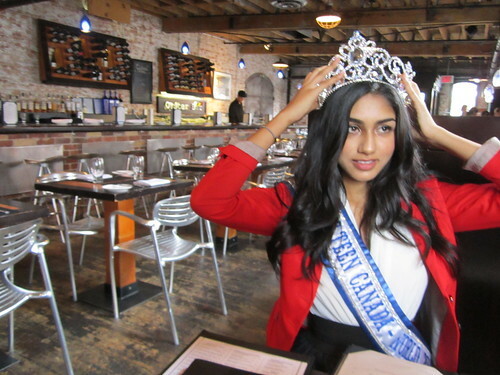 There was a comprehensive write up about 2013 Miss Teenage Canada Megha Sandhu at Distillery District, and once again I’ll mention that the photo seen above of her crowned head and shoulders at Balzacs is something of a tradition. Each delegate recorded their first posts and these are indexed on the Squidoo lens. The excitement of the night is preserved forever in the pictures of the day – over sixty girls in dress rehearsal hours before the show at the Queen Elizabeth Theatre in Toronto. Here are the Miss Teens rehearsing the opening number – look carefully and you’ll see some of them don’t have shoes on their feet yet… That’s the kind of excitement we’re talking about. Danica Cox won the Social Media award sponsored by S-Trip and she will join Megha Sandhu on a Grad Trip to some exotic destination, somewhere in the world. This video is the end result of a extensive campaign for Aveda Canada Professional Hair School and Beauty School that harnessed the Regional Delegates as performers and probably writer and director too. We also asked each participant to write about what was happening behind the scenes. We wanted to know who was the camera person and who helped decorate the sets or make the props or provide some logistical support – its in this post that the 64 Miss Teens thanked the Aveda Institute locations in their home provinces for sponsoring the unique video challenge. 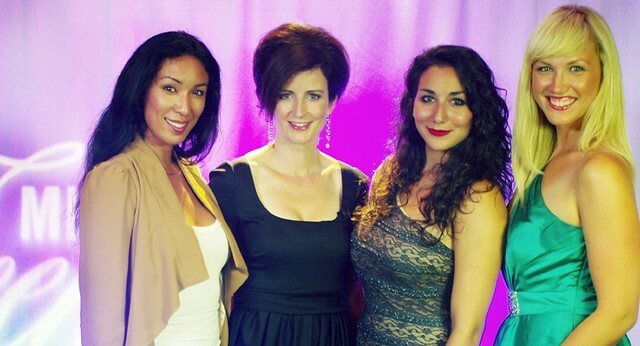 This entry was posted in official blog, Pageant, Uncategorized, winners-categories and tagged Balzacs Coffee, Distillery District, Dr Archer, Megha Sadnhu, Melani Chong, Mentor Night, Miss Teen Canada, Miss Teen Quebec, Regional Delegates, sponsors video. Bookmark the permalink.